Prosecutors investigating the downing of Malaysia Airlines Flight MH17 over Ukraine say the missile used to shoot down the plane came from a Russian military unit. The passenger jet was heading from Amsterdam to Kuala Lumpur when it was shot down on July 17, 2014. All 298 people on board - two thirds of them Dutch - were killed. Most of the others were Australians and Malaysians. 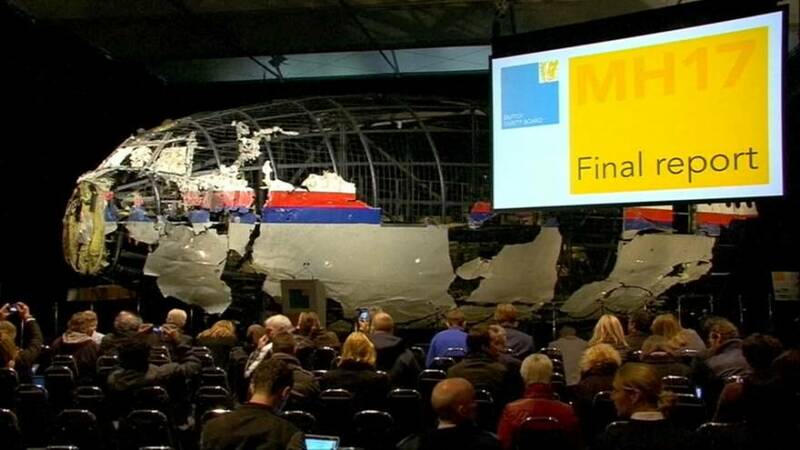 Jennifer Hurst, of the Australian Federal Police, said: "All findings from this forensic investigation confirm the earlier conclusion of the JIT (Joint Investigation Team) that Flight MH17 was shot down by a 9M38-series Buk missile." Dutch investigators said the missile had been fired from a carrier belonging to Russia's 53rd Anti-Aircraft Brigade. Dutch Prime Minister Mark Rutte is cutting short a visit to India to discuss the development. Suspects are likely to be tried in absentia in the Netherlands after Russia used its veto to block a UN Security Council resolution seeking to create an international tribunal to oversee criminal complaints stemming from the incident.